When most people think about prairie plants, they think about long-lived perennial grasses and wildflowers. 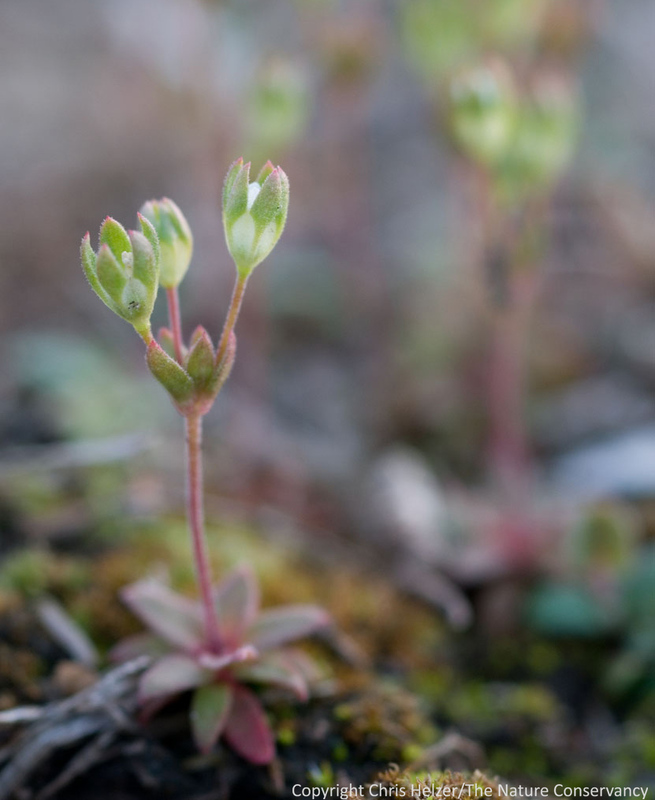 However, 20-25% of plant species in most prairies are annuals; germinating, flowering, and dying in the same growing season. Some of those annuals are tiny uncommon species that take advantage of small openings or disturbed areas when they can. Others are adapted to growing conditions (e.g. saline or alkaline soils) that most other plants can’t grow in, and thrive because of a relative lack of competition. 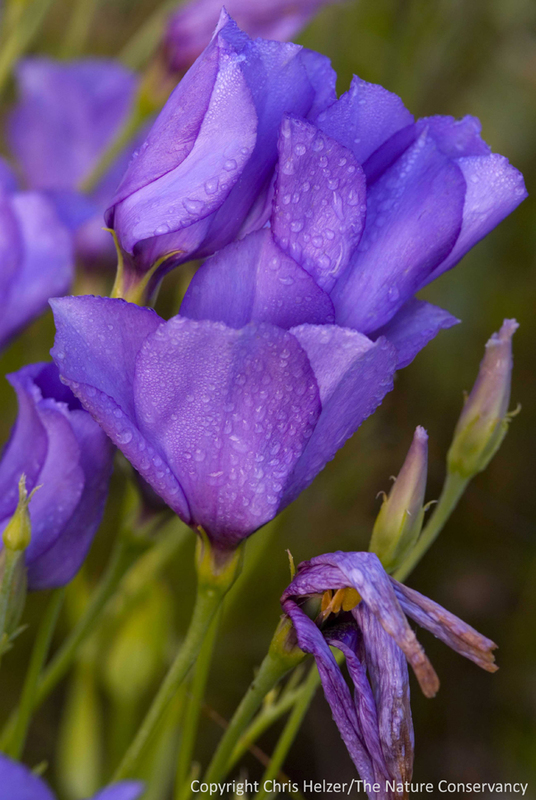 Eustoma grandflorum is a member of the Gentian family, and is known in Nebraska as "Prairie Gentian". This annual plant has purple to white flowers and can be found in moist prairies throughout much of the Great Plains (we often find it in relatively alkaline soils). Its showy nature has led to the creation of horticultural varieties as well. 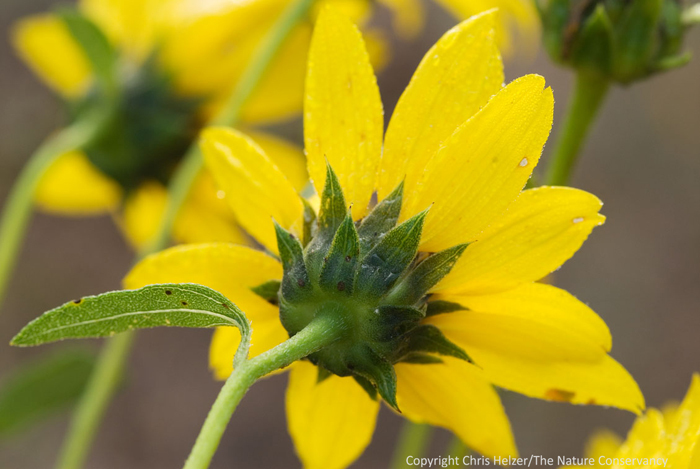 Most of the best known native annuals, however – think of annual sunflowers, annual ragweeds, and similar species – are largely considered to be weeds. Because they can quickly become startlingly abundant, they get lumped in with non-native weeds such as buttonweed, exotic pigweeds, lamb’s quarters, and others, that are cropfield pests. However, that label of “weed” is unfair for most of those annuals (including some of the non-natives). A better term is “opportunistic”. And thank goodness for them. They fill spaces that are opened when the perennial plants around them are weakened, giving herbivores and pollinators something to eat, providing food and cover for wildlife, and helping to stave off true weeds that can take advantage of the same kinds of conditions. Plains annual sunflower is on of two annual sunflower species in Nebraska (the majority are perennials). Plains sunflower inhabits sandier soil than its relative Helianthus annuus. Both are considered cropfield pests but are also very important components of prairie plant communities. In our Platte River Prairies, we work to ensure that we harvest seed from as many native annuals as we can each year so they can establish and create a seed bank in our restored prairies. We do this, in part, because they are native species and part of the prairie community. However, we also include them because they are a better alternative than some of the invasive species that compete for the same spaces. We also watch for those annual plants and monitor their ebbs and flows in abundance to help measure whether or not we’re creating open spaces for germination and establish of annual and perennial plants alike. When I see abundant annuals in our prairie, I know that there are perennials getting an opportunity to spread as well – they’re just not as showy about it. 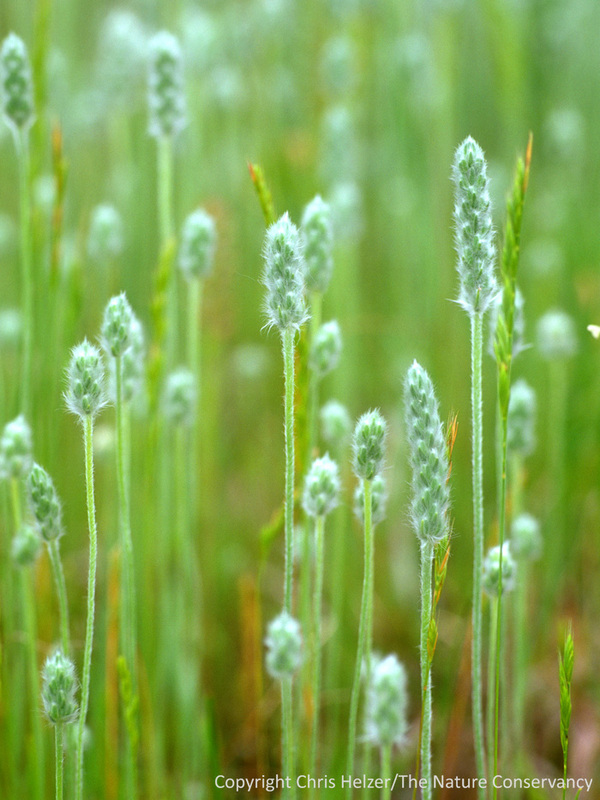 Woolly plaintain (Plantago patagonica) is an abundant annual in distrubed sandy soils. The small grass seen growing with is is another annual, six-weeks fescue (Vulpia octoflora). We harvest as much seed from both species as we can for our sand prairie restoration work because the two species inhabit the same habitat as exotic annual bromes, and we'd rather have the native species! These are just a few of the many annuals found in the Nebraska prairies we restore and manage. They’re not any less interesting than perennial plants – just shorter-lived. If anything, their short spectacular lives (they HAVE to bloom and produce seed in their single year of life in order to ensure a next generation) with abundant flowers and seeds make them underdogs that are easy to root for. Go annuals! 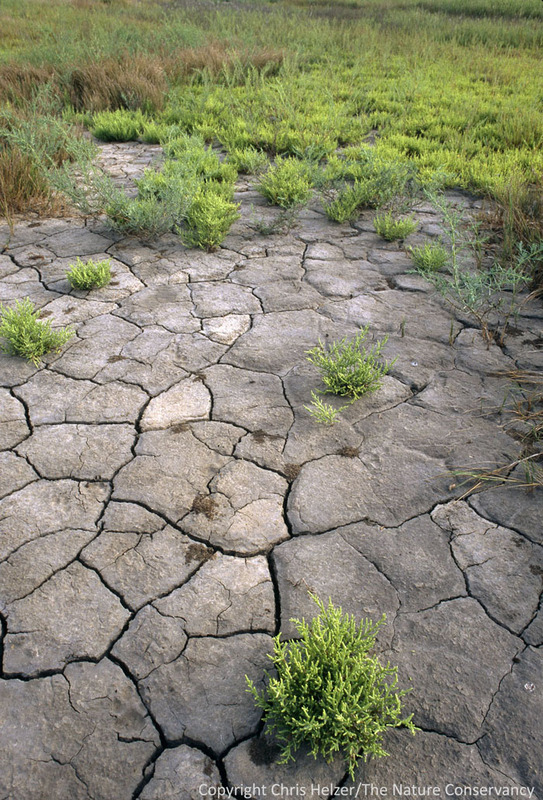 Saltwort (Salicornia rubra) is one of several annual plant species that can thrive in very saline soil conditions. In Nebraska it is limited mainly to the saline wetlands around Lincoln, Nebraska and is a state-listed species. It is a succulent plant and tastes like sea water when chewed. Western rockjasmine (Androsace occidentalis) is a tiny annual plant in the primrose family. Found in much of the western 2/3 of the United States and Canada, it is often difficult to see unless one is looking for it. 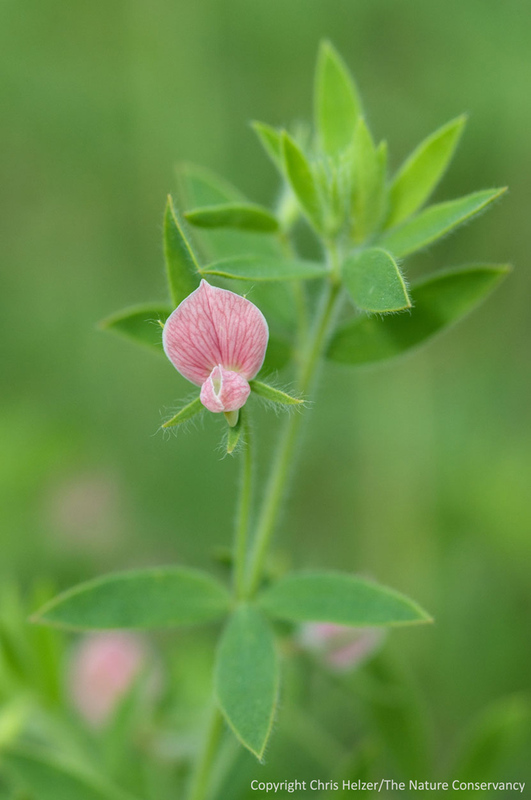 It is relatively common in Nebraska (though usually overlooked) but is a state-listed threatened/endangered species in Indiana, Michigan, and Ohio. Deer vetch (Lotus unifoliolatus), aka prairie vetch, is a very common native annual legume in our prairies along the Platte River. It becomes very abundant following grazing, summer fire, or drought.